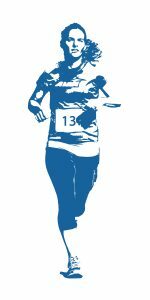 Please join us for the third annual Run for Amy Memorial Trail Race, on September 21st through beautiful Appleton Farms in Ipswich, MA. The race, in memory of Amy DiAdamo Foster, is meant to celebrate her life through embracing her passions of both running and spending time outdoors. Equally as important to Amy was the opportunity to gather friends and host a great party so don’t plan on leaving after your race, as music, food and libations are part of the festivities! The race is intended to be casual – we will run through the trails of Appleton Farms, a mix of single track trails and dirt roads, with some beautiful views along the way. I suppose we wouldn’t really be honoring Amy’s memory if there wasn’t some form of competition involved…prizes awarded for top adult & child 5K/10K finishers. We will have a myriad of food / dessert trucks and beer / wine / sodas available, as well as live music, so we hope everyone will stay afterwards! We need volunteers! Please register to help us on race day out on the course; we need folks to be stationed at splits in the trails to avoid wrong turns. You can register to volunteer in the registration section below. Thank you! Select the entries you need and register now! Payment is online via credit card. You can register multiple entrants via one secure checkout process. Please try to register for the race you intend to run in – we will have chip timers and it gets all messed up if folks run a different distance they signed up for. If for some reason, you later change you mind about which distance, please email Franklin Foster at franklin@runforamy.com. Thanks! Amy DiAdamo Foster passed away in 2016 at the age of 41 after a heroic battle with a rare form of cancer. Her smile and positive energy brightened the world around her even through her diagnosis, surgery, and treatments. We hope to channel Amy’s unique unwavering appreciation for life and her energy into this celebratory event. Constantly in motion, Amy savored all that life has to offer. Running, traveling, hosting parties, cooking, any sport put in front of her – she loved having fun (and competing! ), and made sure that others around her did as well. In her “downtime” Amy could be found donating her time to many different organizations and will always be remembered for her empathy and compassion to the world around her. Above all else Amy’s greatest achievement is her three young boys – Henry (12), Sam (10) and Jack (6) – who share her passions, energy and positive outlook on life. Amy was an accomplished athlete, in college, high school and beyond. Her best sport was lacrosse, in which she was co-captain of Middlebury College’s first national championship team. A three time all-American, Amy still holds the record at Middlebury for career points scored, a record that is 25% higher than other player in the ensuing 20 years. She is a member of the Athletic Hall of Fame both at Middlebury College and Middlesex School. As an adult, she excelled in roles in development, consulting, education and journalism. In addition she was a member of the Board of Shore Country Day School and active in many other organizations. All proceeds from the race will go both to Dana Farber to support cancer research, as well as to Appleton Farms (a Trustees of Reservations property) to support their leadership in sustaining such beautiful spaces. Both of these causes were important to Amy and our family, so we’d ask that you consider making an additional donation. We are tremendously grateful for the immense amount of time that Alice Winthrop (website) and Jen Romans (logo design) have volunteered for this endeavor.